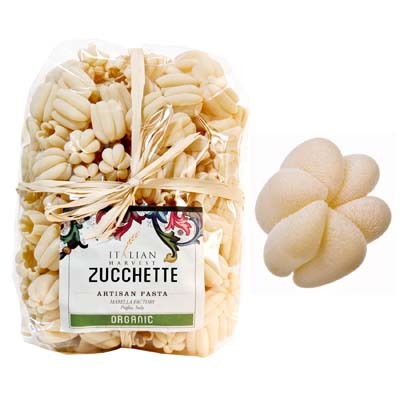 With the name that means “small pumpkins” in Italian, this bag of delightfully unique Zucchette Little Pumpkins pasta is from the artisans of Marella. Each pasta looks like a miniature pumpkin dough ball, which can hold any sauce quite well. You will get a lot more than you expect in every bite. Serve it with some authentic Italian tomato sauce, some pesto, or perhaps some spicy arrabiata. And they are not only beautifully unique, but also organic and full of yummy goodness. Perfect for adults and children alike, it’s great for those big fun family dinners. Get a bag and try them for yourself!